Project 11356 Admiral Grigorovich frigate. Manohar Parikkar, India’s defence minister, has said India would independently acquire or build engines which it would install in the Russian made frigates, agreements to acquire which were signed earlier this month in Goa. India will independently acquire or build and install engines into the Russian-made Project 11356 frigates, India’s Defence Minister Manohar Parrikar has said. After the Russian-Indian annual Summit held in Goa on October 15, the two countries signed an intergovernmental agreement on the construction of the frigates. Russia’s Deputy Prime Minister Dmitry Rogozin had noted that two of these vessels would be built in Russia, and two in India. 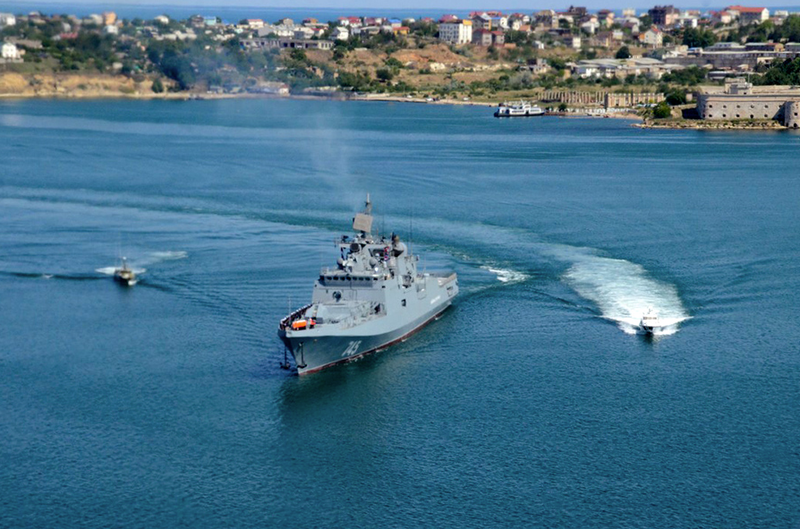 According to the Indian minister, negotiations on the purchase of the frigates by India had begun a long while earlier but, because of the crisis in relations with Russia, Ukraine had refused to supply gas-turbine power plants for the Russian ships. “Now we will buy these engines ourselves and install them in the ships. The frigate will be provided with Indian equipment. This version (of the frigate) has stealth technologies, and we will participate in the design work,” the minister was quoted as saying by the NDTV news channel. India already has six frigates of the Talwar type – the predecessors of Project 11356, designed for export. The Indian ships entered into service in 2003-2004 and in 2012-2013. The standard patrol ship of the Burevestnik type is armed with Kalibr cruise missiles. However, as Minister Rogozin stated in Goa, the new frigates will be equipped with BrahMos cruise missiles, of joint Russian-Indian production.